Vesicle mediated protein sorting plays an important role in segregation of intracellular molecules into distinct organelles. Genetic studies in yeast have identified more than 40 vacuolar protein sorting (VPS) genes involved in vesicle transport to vacuoles. 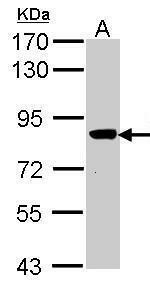 This gene encodes the human homolog of yeast class C Vps16 protein. The mammalian class C Vps proteins are predominantly associated with late endosomes/lysosomes, and like their yeast counterparts, may mediate vesicle trafficking steps in the endosome/lysosome pathway. Two transcript variants encoding different isoforms have been found for this gene. 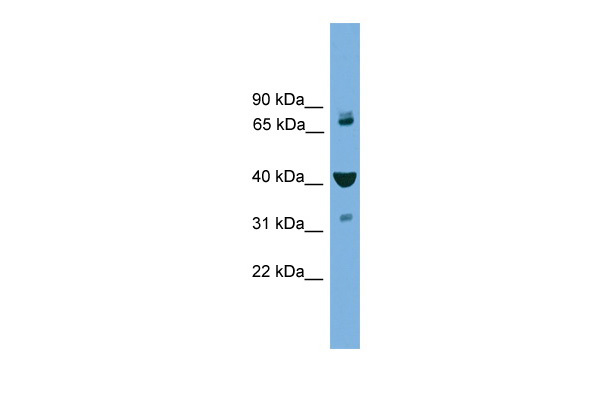 Western Blot analysis of VPS16 expression in transfected 293T cell line (H00064601-T01) by VPS16 MaxPab polyclonal antibody.Lane1:VPS16 transfected lysate(92.29 KDa).Lane2:Non-transfected lysate. Sample (30 ug of whole cell lysate). A: Molt-4 . 7.5% SDS PAGE. TA307915 diluted at 1:1000. 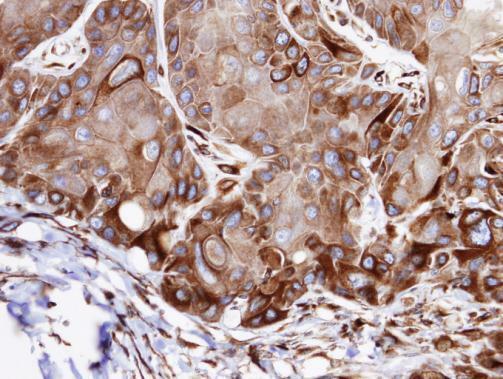 Immunohistochemical analysis of paraffin-embedded SCC15 xenograft, using VPS16(TA307915) antibody at 1:100 dilution. TA329683 (0.1ug/ml) staining of Mouse Spleen lysate (35ug protein in RIPA buffer). Primary incubation was 1 hour. Detected by chemiluminescence.